The Arkansas Native Plant Society will hold its annual spring meeting May 4-6 in Jonesboro, Arkansas. 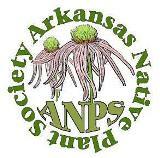 Hotel reservations at special rates for members of the Arkansas Native Plant Society are available at Comfort Suites, 3404 Access Rd., Jonesboro, through April 23. The rates are $75 plus tax for rooms with a king-size bed and $80 plus tax for rooms with two queen-size beds. These rates include a hot breakfast buffet. Call 1-870-336-2280 and mention the confirmation number for the ANPS block of rooms (717286). Evening sessions will be in the Spring River Room of the Arkansas State University Student Union. Larry Lowman, the well-known horticulturalist and nurseryman in northeastern Arkansas, will be the keynote speaker. More details about the meeting will be available later. This entry was posted in Chapter Meetings and tagged Arkansas Native Plant Society, Larry Lowman. Bookmark the permalink.